AUTUMN LAYERING | in style of Emily. This jumpsuit is one of my favourite wardrobe pieces because it can be worn day or night and can be worn casually or more formally. The culotte style leg also makes it a lot more versatile when it comes to Summer or Winter and the classic black means it can be paired with pretty much everything. I decided that to get more wear out of this jumpsuit during the day, I could try and wear it as a layering piece over the top of something else to make it warm enough for this season. 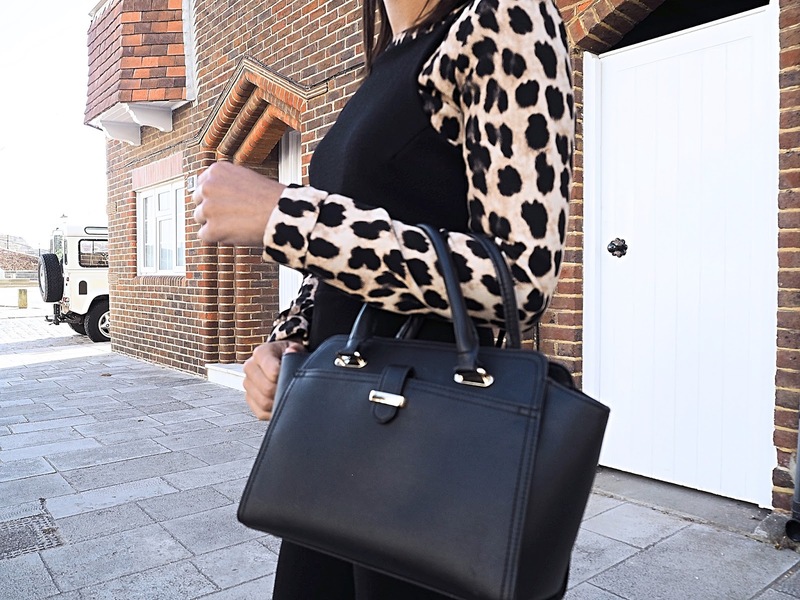 I decided to go for my favourite new animal print top as this added a little bit of contrast. 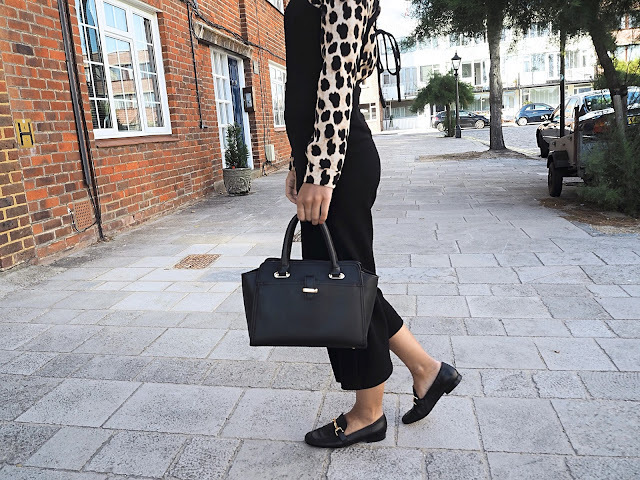 Animal print is something that comes back in every season and I've seen so much of it lately in both high end and high street shops. Again, you could equally wear a plain t-shirt underneath to make it even more casual, or maybe a white shirt or blouse for a more sophisticated look, and something that could be great for workwear too. What's your favourite layering piece in your wardrobe? Also, have you seen my Autumn Lookbook? It features 5 of my favourites outfits from this season so far....go have a watch!